For a Fantastic Kid's Party in Dublin or a Fabulous Kid's Party in Galway....! Imagination is the magic of childhood.....imagination can make ANYTHING happen! 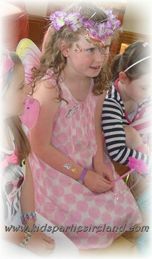 Choose a party package to suit your event or kids party dublin - or see what I have to offer and design a party to suit you! Fairies and Unicorns and wishes and dreams.....these are just some of the things that childhood should be made of! Sadly, life can sometimes be too fast for kids to have a chance to use it....TV, internet and screens – some of the magic of imagination can be lost. And that’s where Award Winning Performer & Entertainer, Sarah, comes in to help save the day! With face paint, glitter tattoos and lots and lots of magical fairy dust – your child’s life will be sprinkled with a special kind of magic. Little imaginations will be sparked.....and your child may make an exciting discovery....that hidden inside them, is the greatest magical instrument of all....their own imagination. Do You Believe in Wishes, Dreams & Magic? So if you’re planning a kids party in dublin, kids party in Galway, a special occasion or entertainment for your school or community centre – then this is the entertainment for you and your children! 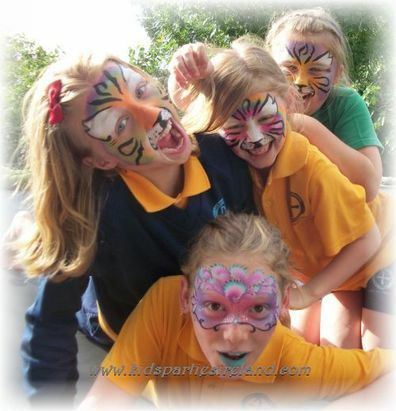 When children have their faces painted - they can become another character or creature. When they create through art, craft and play - they delve into the important stores of imagination & fantasy. Relaxation for kids, Storytelling, Face Painting, Glitter tattoos, Balloons, Games and Songs....there's sure to be something that will delight your youngster! Entertainment for boys and girls of all ages....have a Fairy, Elsa (Frozen), Belle (Beauty & the Beast) come to your party to delight your guests! Transform your little girl into a FAIRY PRINCESS for her special day!! for boys & girls of all ages! at any Event, Occasion or Festivall! for toddlers, kids & teens - to suit any occasion! for libraries, schools & community centres! for Kids, Teenagers & Adults! 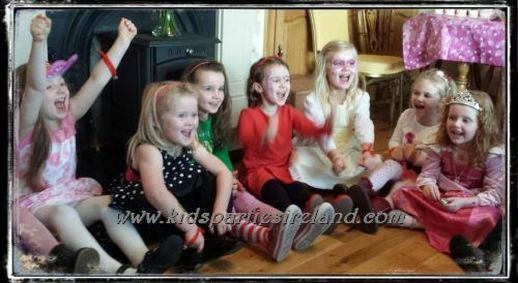 Kids Parties Ireland provides the space, the materials, the games - the final ingredients needed?....Imaginative Kids! With lots to choose from - Face Painting, Storytelling, Glitter Tattoos & Balloons; entertainment suits kids, tweens/teens and even adults! Fairy Princess Parties with Fairy Sarah are a speciality! I travel from Dublin to different locations throughout Ireland, travel fees may apply. Please contact me with your LOCATION for further details and a price quote. To go back to the top of the page, click here!